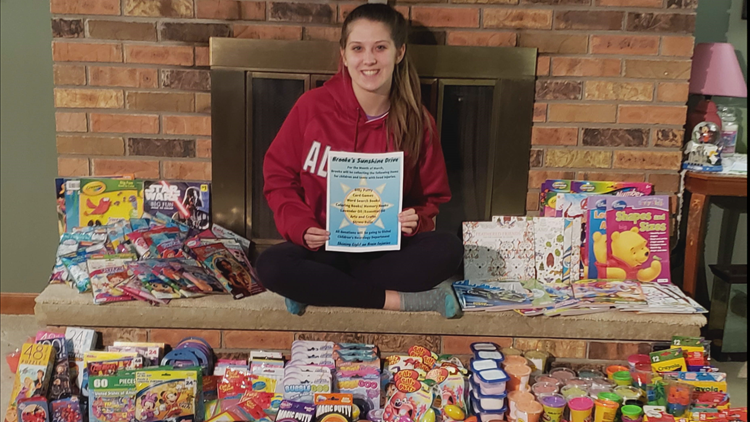 A teen from Alden who suffered concussions in cheerleading is helping other children suffering from brain injuries by donating items that helped her throughout her recovery. 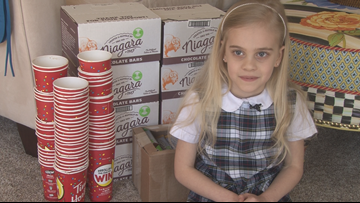 Abby Hays, 6, is giving away 1,000 candy bars to patients and visitors at Roswell Park after earning them by collecting old Tim Hortons coffee cups. Abby Hays, 6, is giving away 1,000 candy bars to patients and visitors at Roswell Park after earning them by collecting old Tim Horton's coffee cups. 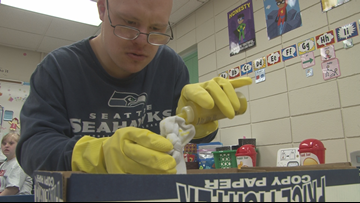 Making and selling tie-dye socks gives the special needs students a sense of pride and purpose. 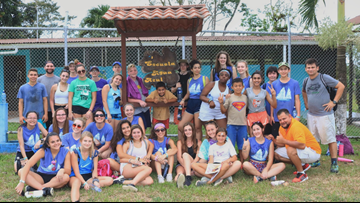 A group of Amherst High School students traveled to Costa Rica during their February break, not for vacation, but for service. They returned home with much more than just souvenirs and photos, but rather life lessons that can't be taught in a classroom. 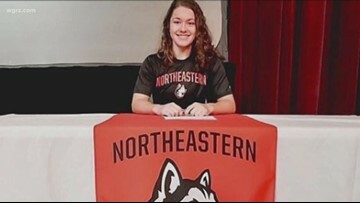 Katy Knoll, 17, a senior at Nichols, is hoping to lead Team USA to a 5th consecutive gold medal in the Ice Hockey U18 Women's World Championships. 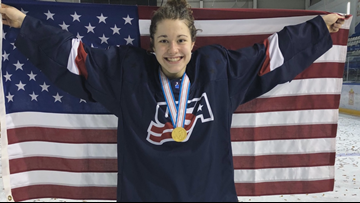 Katy Knoll, 17, a senior at the Nichols School, is leading her Team USA in the IIHF U19 Women's World Championships this week in Japan. A Salamanca 7-yr-old launched a snow angel video challenge to raise funds for cystic fibrosis. Who can forget the ice bucket challenge. The viral videos helped to raise 115 million dollars for ALS back in 2014. Now there's an equally as cold challenge spreading on Facebook, raising awareness, and a whole lot of money, for a different disease and it all began with one little girl in Salamanca. This time of year we all give thanks for our abundant blessings. But recently, one second-grade student from Medina learned others might not be as fortunate as her, so she decided to do something about it. That's why 7-year-old Caliyah Boston is being recognized as one of "WNY's Great Kids." One little girl from Medina learned others might not be as fortunate as her, so she decided to do something about it. Among the hundreds of athletes at Buffalo Envy Cheerleading in Lackawanna, is a special squad for adaptive cheerleaders called Team Extraordinary. That team exists because of the inclusive heart of a boy from Kenmore. 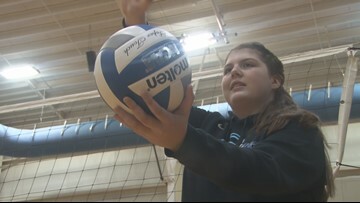 The captain of the St. Mary's of Lancaster girls volleyball team is prepared to help the Lady Lancers battle it out for their third straight state title this weekend, but that might be easy compared to a recent battle she just fought and won.